Recently, we made the 75-minute drive through bucolic backroads into Pickens, SC to pick up local honey from Carolina Honeybees Farm. 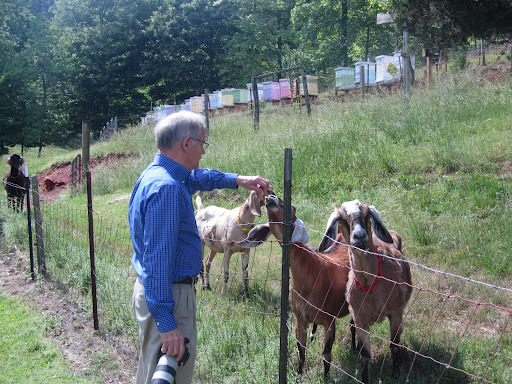 Here, Chris is making friends with the goats and you can see the “Rainbow Row” of hives in the background. Charlotte Anderson, Master Beekeeper, produces honey that won “Best Tasting Honey” at the SC Beekeepers Association Honey Show at Clemson University. 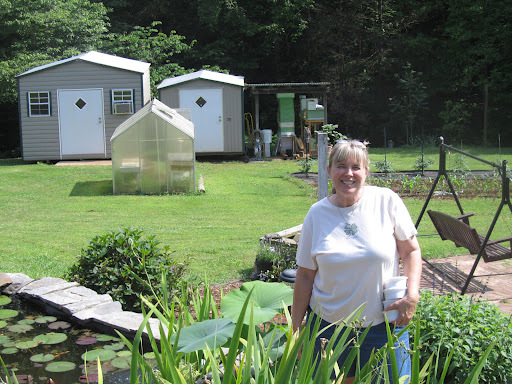 Pristine honey houses on her farm border a babbling brook near her lush flower gardens. Here, she puts up the honey, makes honey & goat milk soap, lip balm, and beeswax candles. 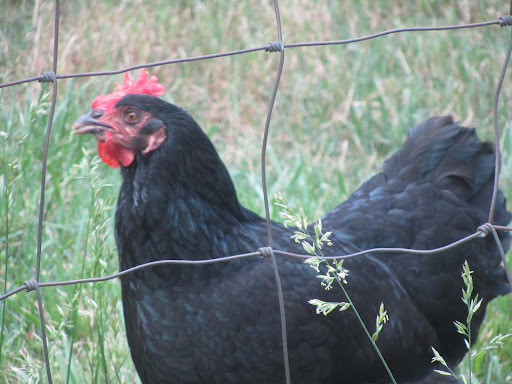 An array of beautiful hens wander around annoying the goats and providing color and humor for visitors to the farm. We bought honey, lip balm, beeswax candles, and creamed honey (sort of like butter). For more information go to www.carolinahoneybees.com. 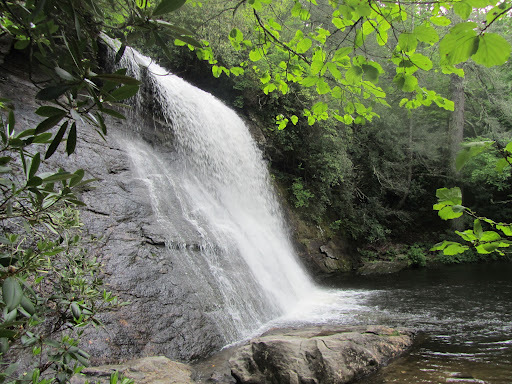 On the way home, we stopped at Silver Run Falls, just south of Cashiers, with easy access down a short path to a beautiful falls that we had never visited before. It was a Honey of a Trip!! and receive a 25% discount on a two night stay. Mention the HONEY DEAL and we’ll include one of Charlotte’s honey bears! New reservations through June 28 only. Does not apply to The Bargain Basement.